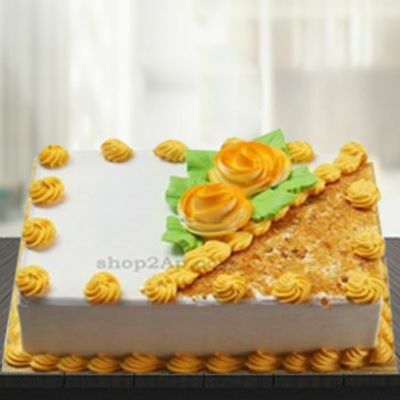 Butterscotch Cake is the perfect flavored cake for any occasion. We use butter and fresh cream in our mouth watering butter scotch cakes which are then generously decorated with whipped cream and caramel. Enjoy the taste of our fresh Butter Scotch Cake; avail our home delivery service or the special midnight delivery service if you are planning to throw a surprise party for your loved one. You can send cake online to your dear ones on their birthdays, anniversary, wedding day, new born birth and other happy occasions and also on festivals. Our delicious cakes make every occasion special.